The Solar Biz has been selling renewable energy equipment since 1969. It’s a family-owned business known for providing expertise and solutions that help customers get the most efficient system for their needs. The owners wanted to expand from the U.S. to all of North and South America, and needed an advanced website solution to make their vision a success. Their existing website could not accommodate their growth plans, so they decided to invest in a Magento-based site. 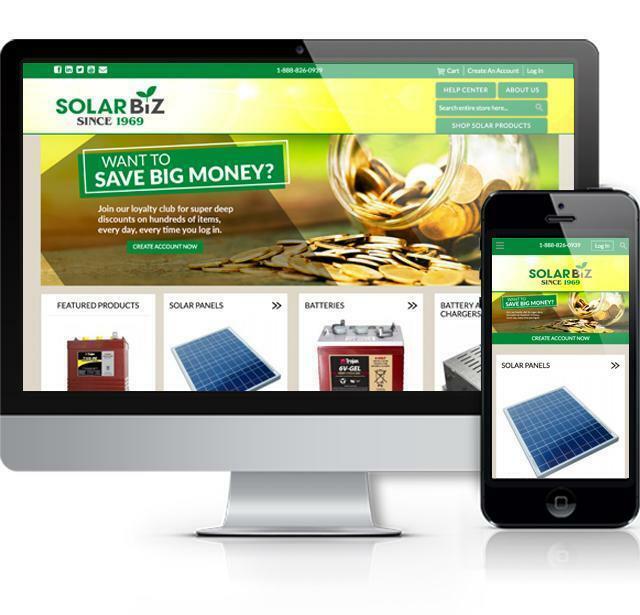 In 2016, Harris Web Works began a partnership with Solar Biz. First step was building a new website in Magento, including integrating extensive product and customer data. Since then, the collaboration has progressed to encompass regional expansion, hosting and marketing. For more about integrating NetSuite ERP functions with a Magento e-commerce website, see overview and white paper about the Harris Web Works SYNC Connection™ tool.